Spa Resort Hawaiians in Iwaki, Fukushima is a Hawaiian-themed, hot spring and water park that suffered heavy earthquake damage on March 11, 2011. They partially reopened in Oct. 2011. Finally on Feb. 8, 2012, they fully re-opened after the water park was repaired. The main attraction is their hula girls who have been traveling around Japan in the meantime to promote Fukushima. The popular comedy movie “Hula Girl” in 2006 also made them famous again. Japanese Americans/Canadians visiting or living in Japan should check out my list of Japanese-American museums in Japan. They show the Japanese immigration during the late 19th century and early 20th century. 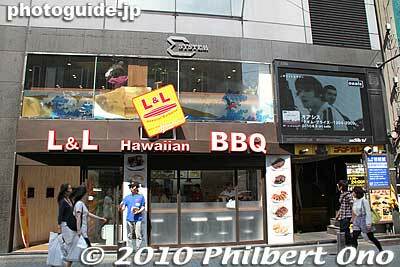 L&L Hawaiian BBQ restaurant in Shibuya, Tokyo, Japan. L&L Hawaiian BBQ is a restaurant chain based in Hawaii. They specialize in what we call “plate lunches” which typically consists of two scoops of rice, a scoop of macaroni salad, and a main dish such as fish or meat. 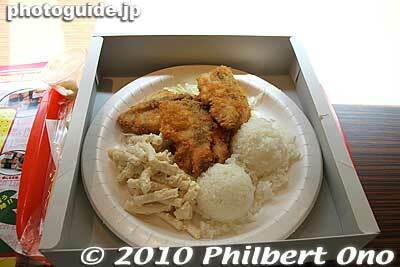 They are a local favorite in Hawaii and famous for serving large portions. 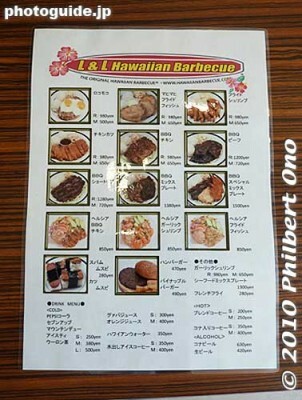 L&L Hawaiian BBQ finally opened a branch in Japan in early June 2010. They are located in Shibuya, a well-known shopping and entertainment area of Tokyo. I went to eat there soon after they opened. I went twice. The first time, I had the mahimahi plate lunch. 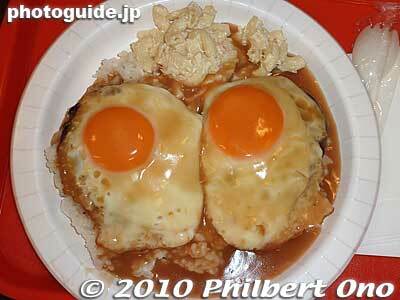 And the second time, I had the huge locomoco (eggs and hamburgers on rice). The food really reminded me of my beloved hometown. 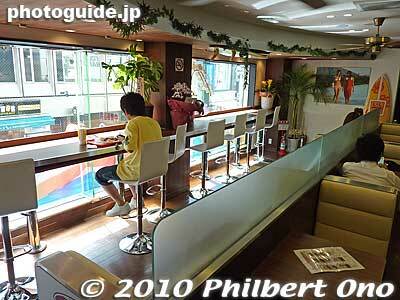 People from Hawaii who now live in Japan will like this place. Locomoco had two large eggs over two large hamburgers. Makes you very full. 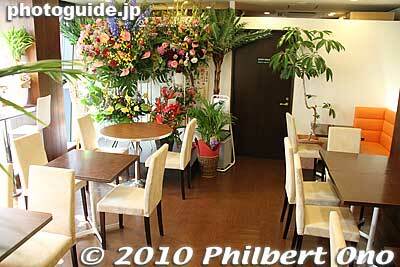 The restaurant is conveniently located in Shibuya, a short walk from Shibuya Station on the way to Tokyu Hands. However, I immediately saw a few problems which may break or blunt their success in Shibuya. The first problem is the ineffective physical configuration of the restaurant. The restaurant has three floors. The 1st floor is on the street level and it is just a small space to place your order at the ordering counter. It also has a few chairs facing the street. People passing by the street will only see this hole in the wall to order food. They will not notice the main dining area on the 2nd and 3rd floors. On the 1st floor where you order, the existence of upper floors is not apparent because you don’t see any stairs. You have to step outside and enter the building’s elevator or fire escape to go upstairs. You find out about this only when you order and the staff tells you. If you pass by and peer through the window from the street and don’t see any stairs (like at Starbucks or McDonald’s), you will assume that there’s no real place to sit. This discourages people from entering. The restaurant should put out a big sign saying that there are more tables/chairs upstairs. 2nd floor dining room of L&L in Shibuya. Hawaiian music plays in the background. 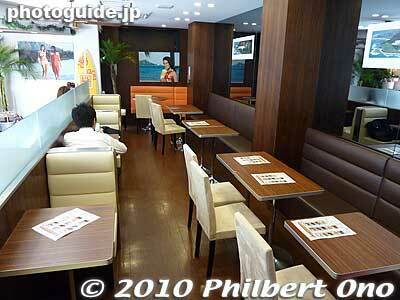 2nd floor dining room of L&L in Shibuya, for couples and larger groups. 3rd floor dining room of L&L in Shibuya. Smaller and quieter. Too bad the people passing by cannot see the dining rooms because they are really nice as you can see above. There are chairs/tables for single people, couples, and larger groups. This is an ideal configuration for a restaurant, but as you can see, customers were sparse during both times that I went. You order and pay for your food on the 1st floor, and you go up to the dining room. (Take-out also available.) They will bring the food to the dining room and announce your receipt No. You raise your hand and they will come. Another problem is the prices. By being in Shibuya, L&L is targeting the younger generation. However, these teens and early 20s people are used to McDonald’s prices which are well below L&L’s average meal price of 800 to 1000 yen (excluding drinks). L&L’s prices are not unaffordable and they probably see a good lunchtime crowd, but Shibuya’s youth like to hang out at cheaper places. They are also used to meals which include a drink or side order. I think L&L should offer such combo lunches which should be cheaper than ordering a plate lunch, drink, and/or side order separately. L&L menu includes smaller "mini" portions and "healthy" lunches which include vegetables. When I went the first time during the first week it opened, I didn’t see picture menus. But they had it the second time I went about a week later. Although the A4-size picture menu was adequate, it looks like a homemade job. I’m not complaining, but in Japan, we’re used to larger, slicker picture menus with large photos of everything. Just go to any family restaurant here and you’ll see what I mean. The food will always look more impressive with larger pictures than with thumbnail images. There are large pictures of plate lunches outside the restaurant, but we need to see them inside as well. The word “plate lunch” might also be misleading in Japanese. It sounds like they got only a lunch menu, and no dinner. They need to explain what it is. L&L has a Web site, but it has nothing more than the Tokyo restaurant’s address and phone number in English. Like what time do they open/close? What’s on the menu? They need to have their own official Web site in Japanese. All we see now are Japanese bloggers writing mostly incomplete and unofficial announcements about the restaurant. They’re gonna have to work on these little details to better market and tailor themselves to the Japanese crowd. I hope they are advertising in Japanese hula magazines as well. I plan to keep eating there until I tried all of their plate lunches. As I do so, I’ll keep updating this blog entry. The L&L staff are friendly, always saying “Aroha!” There seems to be one or two staff from Hawai’i, mainly in the kitchen. Anyway, I’m glad to see them here. I hope they become as popular as Kua’Aina which is just a hamburger joint.